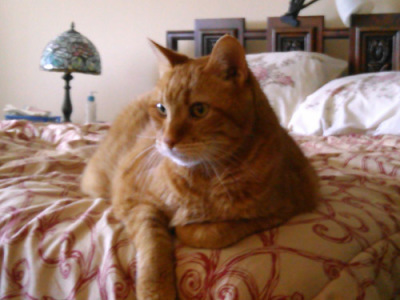 Rascal is an 8 year old orange male. His owner passed away, and he would like another chance at a forever home. He requires thyroid medication, but is otherwise healthy, friendly, and affectionate. Please contact Valerie Alcock at val.alcock@att.net if you believe you have room in your home and heart for this beautiful cat.